I used the first color to write the equation. The next color shows the add/subtract step. 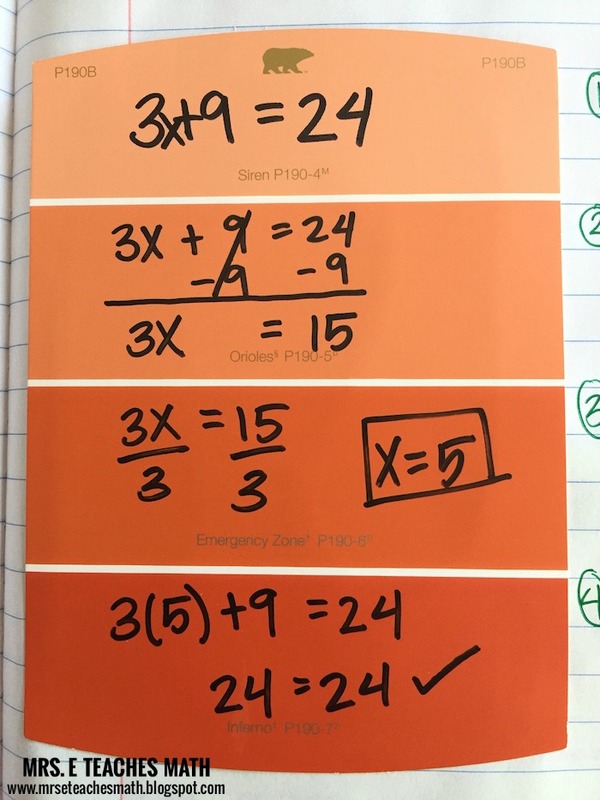 The third color shows the multiply/divide step. The last color shows substituting in the solution to check the answer. 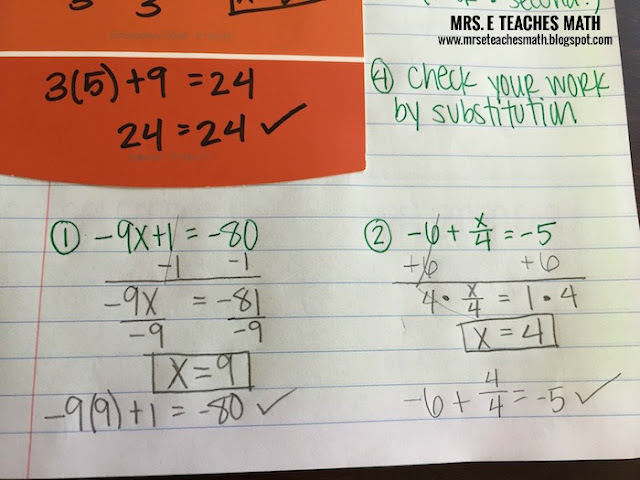 I think it is very important to have students check their answers, to make sure they are correct. Off to the side, the steps are explained. Students could write whatever they needed to in order to remember what to do next. At the bottom of the page, I have two practice problems. 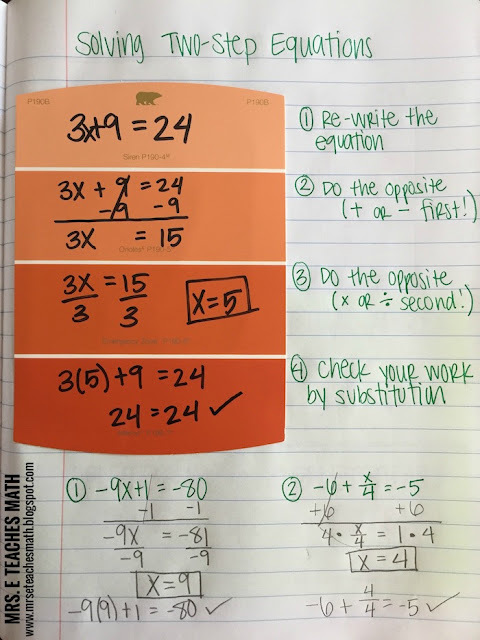 Since the steps are listed above, it is a good place for students to do their first independent practice. If you’re teaching two-step equations, I hope this helps give you ideas! I love this idea! Where can I get enough paint samples for my 120 kids? Sometimes places like Home Depot or Lowes will give you the paint samples of colors that have ben discontinued. I love this idea! I may have to go get some paint samples! What a great way to show steps to anything!